Let’s face it; the old supermarkets have lost their luster. Many shoppers demand more from grocery stores these days, meaning places like Whole Foods have become a lot more popular. Now for the good news. American Express has launched a new promotion for Whole Foods shoppers who have any one of the three Blue Cash credit cards in their wallet. 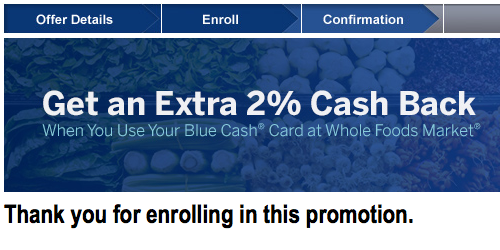 From October 15th until February 15th, 2015 (Amex seemed to keep this promotion hidden until recently), you can earn an extra 2% cash back when shopping at Whole Foods Market and using your Blue Cash card to pay. That means your cash back at Whole Foods will range anywhere from 5-8%, depending on the card you have. These three credit cards offer 3%, 5%, and 6% at U.S. supermarkets, but thanks to the extra 2% cash back, you can save even more at Whole Foods for the next few months. I don’t know that it will make it necessarily “cheap” to shop there, but it will certainly help, at least until mid-February. 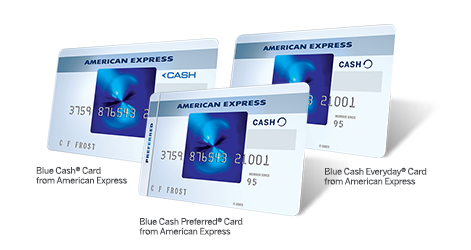 I’ve got the Old Amex Blue Cash, meaning I’ll snag 7% cash back while it lasts. For the record, the cash back earned can be redeemed in the form of a statement credit. The hitch is that you need to earn a minimum of $25 in cash back to redeem it, unlike Discover, which now allows any redemption amount. If you want to take part in this promotion, you have to sign up by enrolling either online or by phone. That’s right, it’s not automatic, and purchases made during the promotional period before you signed up won’t earn the extra cash back. Also, only purchases made at the main check out aisles or via the Whole Foods website qualify for the bonus cash back. Purchases made with mobile/wireless card readers or via mobile/digital wallets don’t qualify, so make sure you swipe your plastic credit card as opposed to using services such as Apple Pay. The terms also say the purchase or reload of prepaid cards don’t qualify as an eligible purchase, though I don’t know if that includes Whole Foods gift cards, so purchase at your own risk.